Many macro dieters find it can be challenging to eat enough protein to fulfill their daily recommendation. This macro is vital for productive muscle gains and for maintaining the muscle you already have. But, relying on whole foods to meet this macro can be challenging if you are engaged in strength training. Here are some examples to give you an idea of how much food would be required to get a person to their recommended daily amount of protein. If you were a 170 pound male and striving for 1 gram of protein per pound of body weight in order to build muscle, here’s the food it would take. Yikes, that’s a lot of chicken! And, eating that much of some of those will throw your other macros out of balance. 68 ounces of chickpeas also contains 529 grams of carbs! Besides, who has $20 to spend on tuna every day? 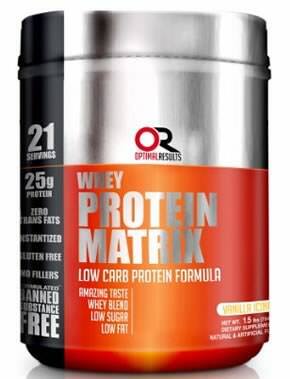 I think that the simplest solution to the “getting enough protein” dilemma is to use a quality protein supplement in conjunction with a healthy diet. 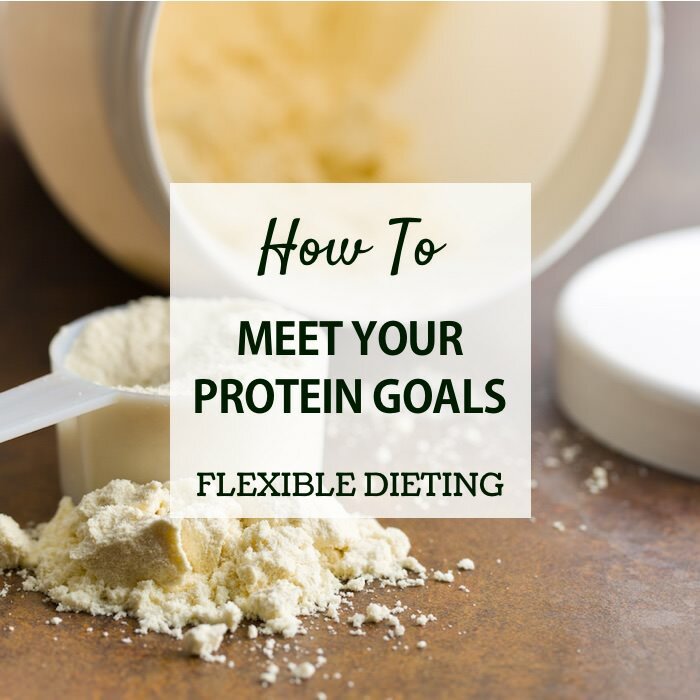 This is a cost-effective and much simpler way to get those essential protein grams without eating all that meat or those legumes. How to Choose a Protein Supplement? 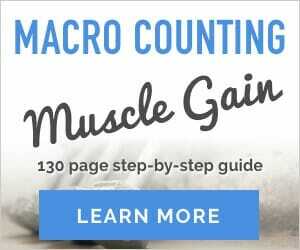 There are so many protein supplements to choose from, but here are some good guidelines to follow when picking one that works well with macro counting/ IIFYM. Choose a protein supplement from a brand with a good reputation. While it might be tempting to go with a cheap bargain brand, the quality of the protein may be questionable as well as its source. Pick one that is as pure protein as possible. This way it has little impact on your other macro totals. Avoid brands that are labeled as “weight gainer” because these are usually also rich in fat and carbs. Taste is important and I like to have a couple different flavors on hand. I always have a vanilla on hand so I can blend it with fruit etc. Buy a small amount of a new brand to see if you like it or try to get a sample. Don’t commit to a 5-pound tub if you’re not sure you’ll like the flavor and texture. Additives: Protein supplements vary greatly when it comes to additives and choose one that has the number of additives you’re comfortable with. In the brands I’ve tried below, sometimes when you get rid of the additives, you also sacrifice a little on the taste and/or texture. 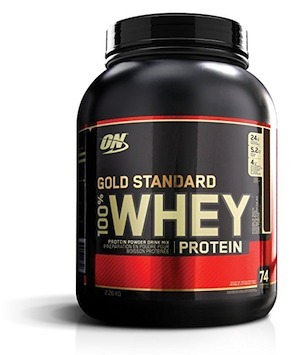 Optimum Nutrition Gold Standard is one of the best selling protein powders in the world. They also have one of the largest range of flavors. Taste: This brand has a great vanilla flavor and is easy to drink. I also blended in some blueberries and created a great tasting protein fruit smoothie. Overall opinion: This is a good choice for value per scoop, taste, and protein concentration as well as for those who don’t mind artificial sweeteners. This brand is sold at popular stores such as Vitamin World and is often offered at buy one, get one free or get one at 50% off, which is a great bargain. Taste: I’ve bought and tried both their vanilla and chocolate flavor. Both have a good flavor and make a thick and easy to drink shake. 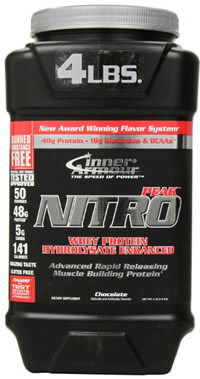 Overall opinion: Nitro Peak Whey offers a great value per scoop if you are able to catch a good sale at Vitamin World. It has limited additives and includes lactase for people who are sensitive to lactose. However, it has a tad too much fat and too many carbs than I typically like in my protein supplement. Taste: I bought and tried their chocolate fudge flavor which has a nice chocolate flavor and makes a thick shake that’s easy to drink. Questionable ingredients: Optimal Results uses some artificial flavors, sweeteners, carrageenan, and anti-caking agents like sodium silco aluminate. Overall opinion: This is another brand that offers a good value per protein amount and little of the other macros. Also, it’s a blend of protein and amino acids which help the body to incorporate it a little better. I like that it contains lactase for all of us that are a little sensitive to dairy, but it would be nice to see fewer additives. This brand is one of the purest brands I’ve tried and they have not only whey protein but vegan protein options as well. They have a wide range of flavors available and use no artificial sweeteners or flavors. Taste: I’ve tried the chocolate peanut butter and the vanilla flavors. Both have a nice flavor, but they do not get thick like most protein shakes and the stevia aftertaste is a bit noticeable. 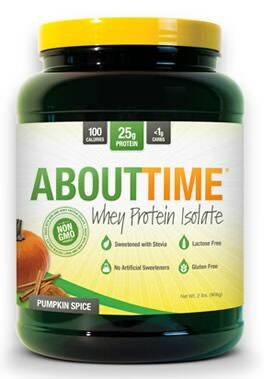 Overall Opinion: AboutTime is the best choice for those looking for a clean protein supplement with just 4 natural ingredients. But, this product is a little more expensive per scoop and some may not like the thinner texture of the shake. I do like that this one is almost entirely protein so it doesn’t influence your other macro totals. Protein supplements can be a helpful addition to a macro-based diet, but their consumption daily shouldn’t be more dominant than real, whole food sources of protein. For some of the best whole food protein choices see 75 of the best carb, protein, and fat sources. I LOVE the About Time Cinnamon Swirl!